Now, let me tell you what happened. 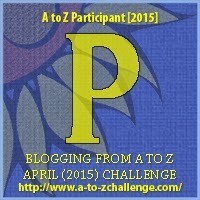 I know that I said I would get caught up with my A to Z Challenge, and I will, but a strange thing happened. I wrote this blog all about Peanut Allergy and it was ready to publish when I received a phone call from someone who was impressed with a response I had given her on a site that I visit everyday, It has to do with how physicians, physician assistants and nurses are treated within the medical community. She is doing some great work to change things. She asked me to publish what I had written on her site to some other Physicians’ sites and to please talk to a journalist about it to shine a bright light on the problem. After that, I got to work sharing it everywhere I could think of. By the time I came back to post my peanut piece (see how I did that? Alliteration. ), all the words had disappeared. Just the words. Not the pretty “P”. I looked all over the internet and it did not show up. So, I write again. Thank you for your kind understanding for my tardiness. These days we hear so much about peanut allergies in children. Doesn’t it seem like everyone has a peanut allergy? Well, the pediatricians in 1997 were thinking that also and, although the number had increased some, it was not as much as it was thought. By the year 2000, the American Academy of Pediatrics had put an alert out for parents not to feed their children any type of nut until they were around three years old. About 40% of children with an allergy to peanuts also are allergic to tree nuts such as: walnuts, pecans, cashews and pine nuts. A peanut allergy is usually chronic and lasts a lifetime. There have not been many clinical tests/studies done up to this time, especially ones that included children. The American Academy of Pediatrics paid attention to the numbers of children being diagnosed with peanut allergies for the next few years, and by 2008 it was clearly noted that the numbers had tripled! The idea of no exposure to the nut was not the answer. The LEAP (Leap Early About Peanut) study, designed and conducted by the ITN (Immune Tolerance Network) with additional support from FARE (Food Allergy Research and Education) and led by Professor Gideon Lack at Kings College London, is the first randomized trial to prevent food allergy in a large group of high-risk infants. The study included over 600 children ages four to under eleven months old, who were thought to be at increased risk for developing peanut allergy because they had severe eczema, egg allergy or both. Children already eating peanut products and those with suspected peanut allergy, or had a positive peanut skin test were excluded. The LEAP study demonstrated that consumption of a peanut-containing snack by infants who are at high-risk for developing peanut allergy prevents the subsequent development of allergy. The pediatrician will probably do skin testing either by: Skin Prick Test (SPT), Patch Test, and Radioallergosorbent Test (RAST), a blood test, to find out if the child has an allergy or intolerance to a food. 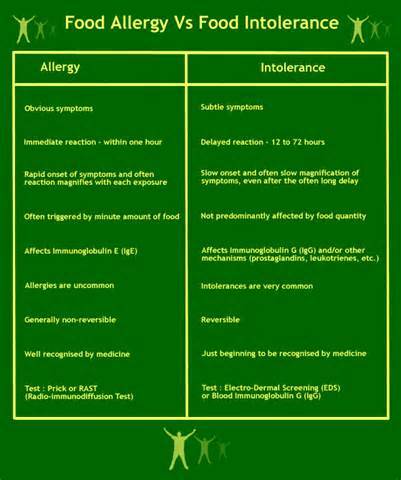 As parents, you will be responsible for safeguarding your child from this serious allergy. The first thing on the list is to learn to read food labels and avoid peanuts completely. The child should have a medical alert bracelet. Speaking to the school, other caregivers or teachers in activities to make them all aware of your child’s severe allergy and what to do in an emergency. Parents should learn CPR and how to use the autoinjector with epinephrin in case the child begins to have early symptoms. And autoinjectors should be placed where they would be within easy access.